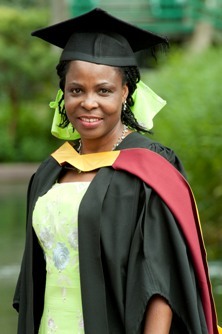 Harlow mother of two proudly graduates from City University London. A mother of two from Harlow was among 1500 students who graduated from City University London this week at a series of ceremonies held in the capital. 46 year-old Zainab Hannafi, who lives on Riversmill, completed her undergraduate degree in International Politics, after moving to London from Nigeria 20 years ago with the hope of gaining an education for herself and her two sons.